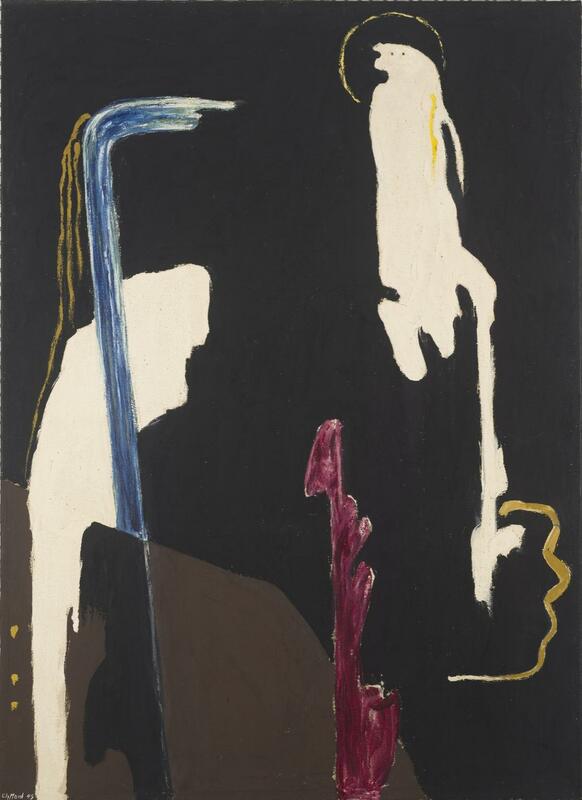 Clyfford Still, PH-314, 1945. Oil on canvas, 62 1/2 x 45 1/2 inches (158.8 x 115.6 cm). Clyfford Still Museum, Denver, CO. Still, Patricia. "Clyfford Still: Biography." In Clyfford Still (1904-1980): The Buffalo and San Francisco Collections, edited by Thomas Kellein, 145–168. Munich: Prestel-Verlag, 1992. Sobel, Dean. "Why a Clyfford Still Museum?" In Clyfford Still: The Artist's Museum, 15–54. New York: Skira Rizzoli, 2012, p. 19, 49.